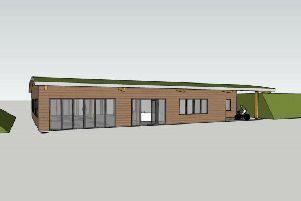 A meeting will be held later this month for parents who whose children might attend the new Hillside Primary School. The meeting will be held on September 23 in the Lecture Theatre of Portlethen Academy at 7pm, and is open to all parents and the wider community. Those who have not yet decided whether to send their children to the new school when it opens next year are also being encouraged to attend. Matters to be discussed include uniform, logo, the process for naming the school and details of transition arrangements. Aberdeenshire Council’s Chair of Education, Learning and Leisure, North Kincardine Councillor Alison Evison, will be at the meeting. Aberdeenshire Council have yet to confirm which other officials will attend the meeting. The new school has a price tag of £13 million, and it is hoped it will be open by the end of 2016.